Beech trees (Fagus grandifolia) in Rockefeller State Park Preserve, Sleepy Hollow, NY. Beech trees in the understory are usually the last to lose their leaves in the fall/winter; on occasion staying attached until the next spring. Canon 7D, Sigma 70-300mm f/4-5.6, ISO 100, f/16, 0.5 sec. 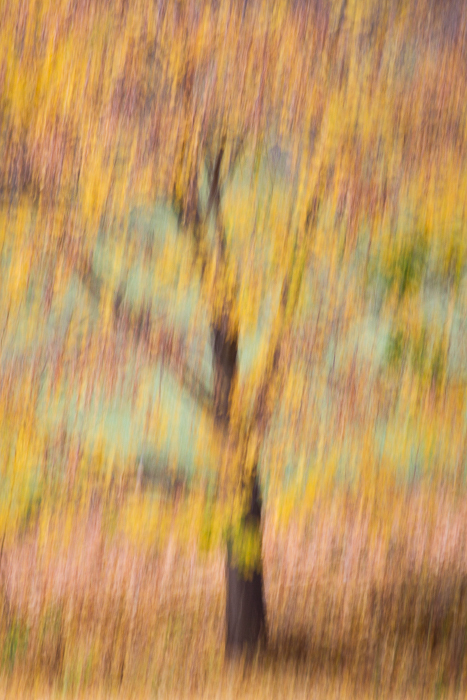 Late fall is my favorite time for making fall foliage motion abstracts. The muted colors make for slightly less garish color blurs. 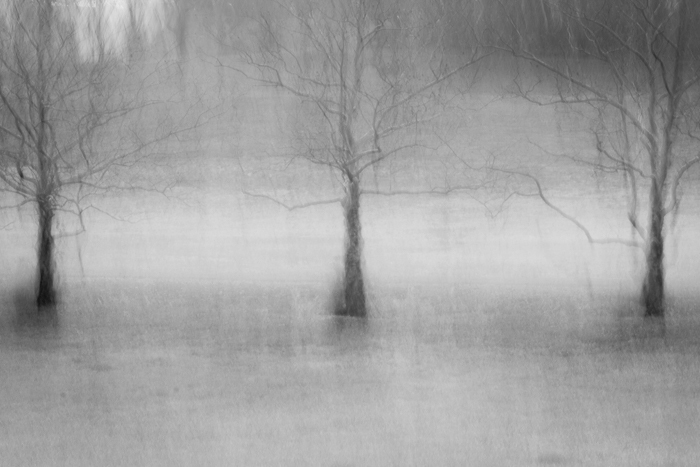 Yet at the same time, the leafless backgrounds help provide contrast and make the remaining color stand out. 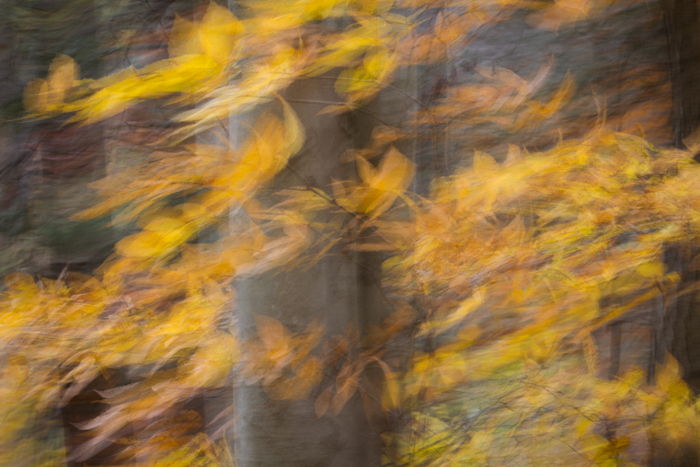 Motion abstract of a maple (Acer) tree near Rockefeller State Park Preserve, Sleepy Hollow, NY. Canon 7D, Sigma 70-300mm f/4-5.6, ISO 100, f/16, 1/8 sec. Here is a small collection of late fall abstracts taken in the Sleepy Hollow, NY area on Rockefeller State Park Preserve land and adjacent Rockefeller Family land. In the next post, I'll have a few more to share and talk a little bit about the technique. "November Sycamores". A line of sycamores (Platanus occidentalis) along a carriage road on Rockefeller Family land, next to Rockefeller State Park Preserve in Sleepy Hollow, NY. I've posted a color version on the Whimbrel Nature Facebook page. Which version do you like best? Leave your answer in the comments. Canon 7D, Sigma 70-300mm f/4-5.6, ISO 100, f/22, 1/4 sec.